Today the cloister at Fontevraud l’Abbaye is dominated by a large modern sculpture, the walls of its refectory and its main dormitory are given over to exhibitions and installations, while its kitchens and chapels, echo with the footsteps of tourists. But some 900 years ago Fontevraud L’Abbaye was a place of prayer and contemplation, dedicated to the Virgin Mary and home to a large community of religious, both monks and nuns. 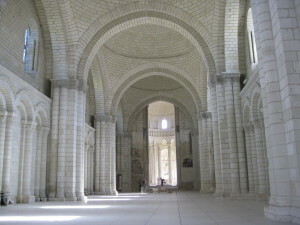 Fontevraud L’Abbaye was established early in the 12th century, when Philippa of Toulouse persuaded her husband, William IX Duke of Aquitaine to grant Robert of Abrissel land to establish a religious community. 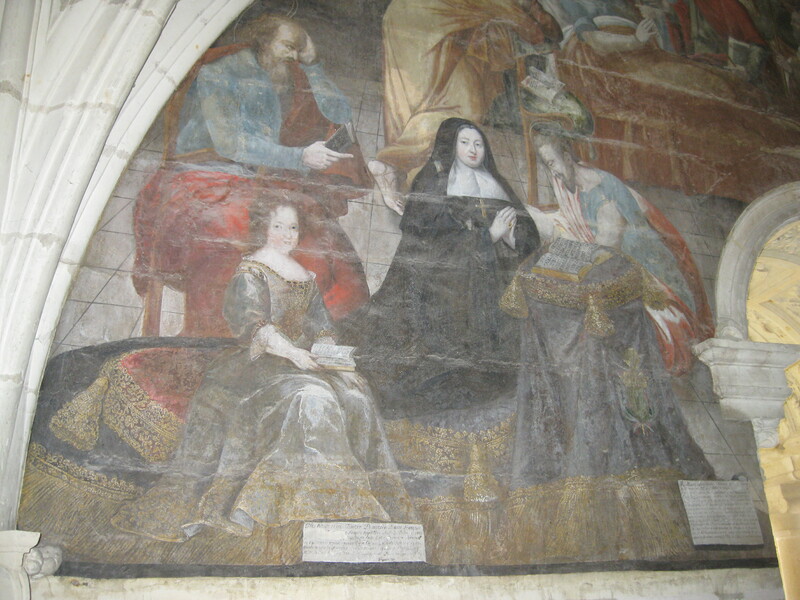 The land was duly granted and the abbey was established at Fontevraud in the Loire Valley. 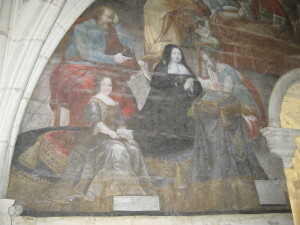 Although it housed both a monastery and a convent, Robert d’Arbrissel decreed that the head of the establishment should always be a woman. The position attracted many rich and noble abbesses over the years, including Eleanor of Aquitaine, one of the wealthiest and most powerful women in Europe during the high middle ages. Eleanor of Aquitaine was Queen consort of France (through her first marriage to Louis VII) and also of England (through her second marriage to his rival Henri II) She was mother to two English Kings, John and Richard who was known as Coeur de Lion or Lion heart, because of fearless military feats during the crusades. Eleanor of Aquitaine died in 1254 and is buried at Fontevraud next to her husband, Henri II and her son Richard Coeur de Lion. Her tomb effigy is bedecked with jewels and she is depicted reading a book, as the ability to read was exceptional, especially for a woman, at that time.